Dumaguete City continues to be a popular destination for tourists and now ranks as the 3rd top destination in Central Visayas (CV). 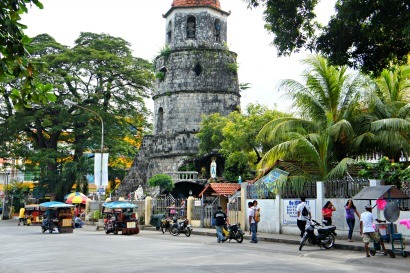 The Department of Tourism (DOT-7) reported that Dumaguete came next after Cebu City and Lapu-Lapu City. The tourism industry in the city showed a positive growth in tourist arrivals last year with 183.9% increase with some 393,718 local and foreign tourists visiting the city. According to Brando Canonizado of the City Tourism Office that Dumaguete is not just being recognized as a “The City of the Gentle People,” but recently, Dumaguete City earned its way on the list of “Most affordable places to retire in the World” in an article released by Yahoo! Finance, Dumaguete ranked 4th. In a DOT Regional Tourism Officers Forum held recently, Dumaguete City Tourism Officer Woodrow Maquiling Jr., is the first Negrense to be elected as Regional President of the Central Visayas Tourism Officers Association (CVTOA). Maquiling has been chosen to showcase the Dumaguete experience on the topic Tourism Best Practices of LGUs during the DOT Regional Tourism Officers Forum attended by over 80 tourism officers in Central Visayas. Canonizado said landmark program of the city tourism is the localization of the national law Republic Act 9593 otherwise known as the Tourism Act of 2009. With this, a city ordinance passed which deals with the implementation of the Mandatory Accreditation of Primary Tourism Enterprises operating the city. Thus, it is said the city is indeed ready to be globally competitive for a robust tourism industry as an engine of investment, employment, growth and community development. “The Dumaguete experience was far from perfect but was made possible because of the collaborative effort from all the stakeholders and team at the city tourism office under the leadership mayor Manuel Sagarbarria,” said Canonizado. Meanwhile, the DOT held an election of officers for CVTOA facilitated by regional director Rowena Lu Montecillo. Montecillo committed to support the association as partner of DOT to strengthen the tourism industry and achieve successfully the implementation of the National Tourism Development Plan in the region.